At HealthTree, we pride ourselves on being eco-conscious and promoting reusable products like beeswax wraps to help reduce household waste and preserve the earth for future generations. 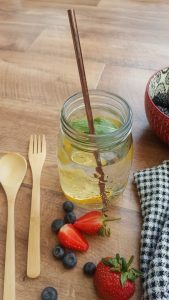 That’s why we’ve developed our own range of Stainless Steel Reusable Straws in a 4 Pack, with a bonus cleaning brush. 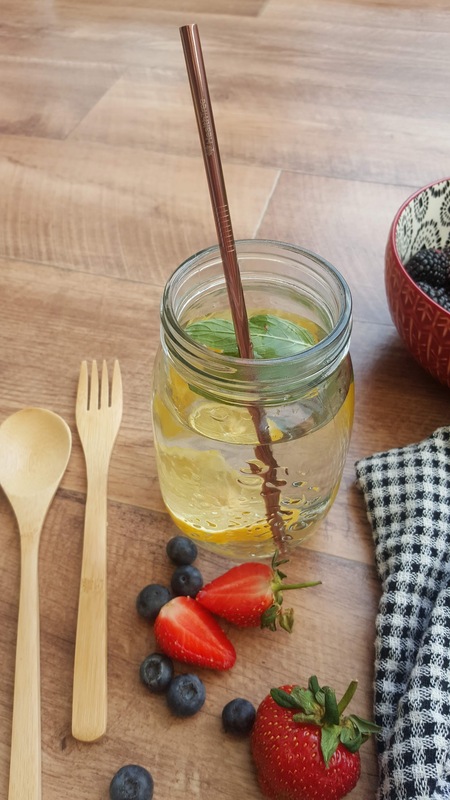 Our Stainless Steel Reusable straws are 18/8 food-grade #304 stainless steel, as well as BPA-free and Phthalate-free. They’re incredibly durable, and you can choose from black, silver or rose gold, and straight or curved straws. 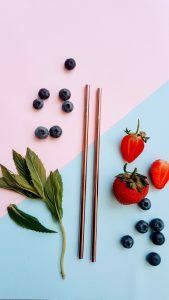 Our Stainless Steel Straws are made from high-grade stainless steel, meaning they won’t ever leach harmful toxins into your drinks – no matter how many times you wash them. And cleaning your new straws is simple thanks to the bonus cleaning brush included in each pack. Just rinse then use dishwashing liquid and your cleaning brush, or your dishwasher, to get it ready to use again. Stainless steel straws are not only reusable but recyclable too, making them a great alternative to single-use plastic straws that won’t harm the environment. Plastic straws never completely breakdown, meaning they’ll be on the planet forever! They get caught in the airways of marine animals, and impact their environment in many other awful ways, like when turtles try and build nests in the sand. When you switch to a reusable and recyclable straw, you’re potentially replacing thousands of straws and not contributing to the millions that are used and go into landfill each day. Remember, they never fully decompose! The whole family can use these straws, just be sure to supervise children during use as a precaution. It’s estimated that we use 10 million straws a day, and the actual number could be even higher! 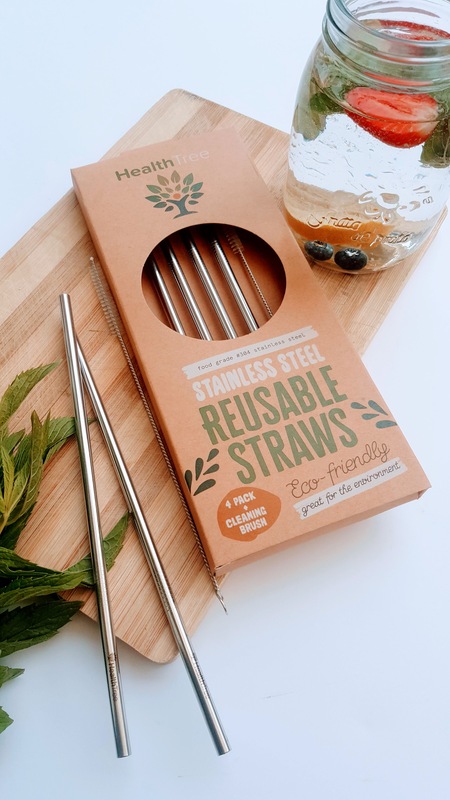 Why not do your part for the environment and start making small changes to reduce your waste by grabbing one of our HealthTree Stainless Steel Straws 4 Packs with bonus cleaning brush today? Choose black, rose gold or silver.